Doctor of Economics, graduated from the Kyrgyz State University in 1985, St. Petersburg University of Economics and Finance in1992. In 2013 by the Resolution of the Head of State he was appointed the Commissioner of the International Specialized Exhibition EXPO 2017. 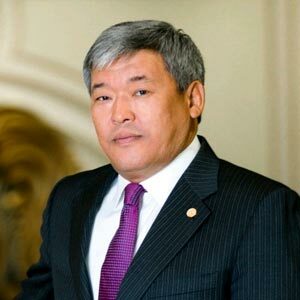 Mr. Zhoshybayev has the diplomatic rank of the Envoy Extraordinary and Minister Plenipotentiary of the first class.